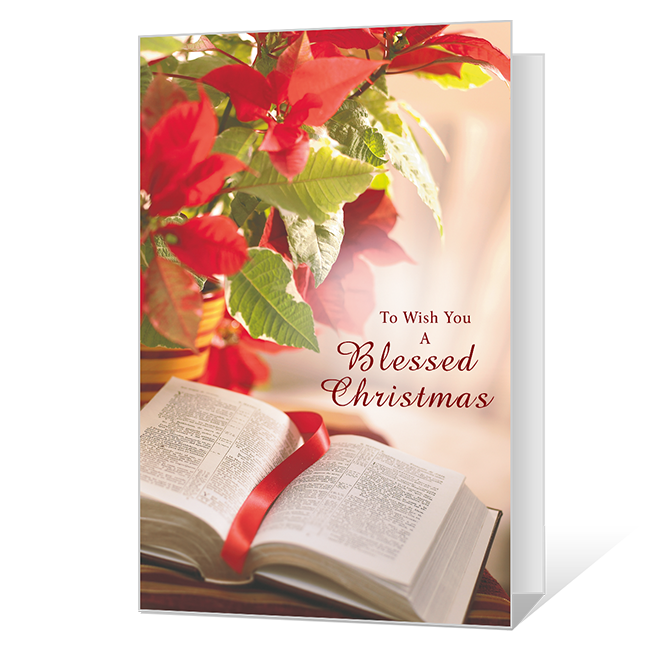 Cover Verse: To wish you a blessed christmas. Inside Verse: For God so loved the world that He gave His one and only Son...John: 3:16. At Christmastime, and all through the year, may God's love touch everything you do and remind you you're forever blessed. Happiness always.